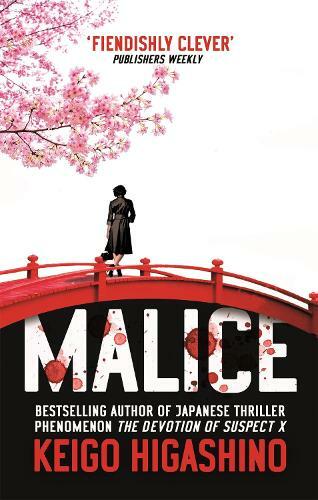 Acclaimed bestselling novelist Kunihiko Hidaka is found brutally murdered in his home on the night before he's planning to leave Japan and relocate to Vancouver. His body is found in his office, in a locked room, within his locked house, by his wife and his best friend, both of whom have rock solid alibis. Or so it seems. Police Detective Kyochiro Kaga recognizes Hidaka's best friend. Years ago when they were both teachers, they were colleagues at the same high school. Kaga went on to join the police force while Osamu Nonoguchi left to become a full-time writer, though with not nearly the success of his friend Hidaka. But Kaga thinks something is a little bit off with Nonoguchi's statement and investigates further, ultimately executing a search warrant on Nonoguchi's apartment. There he finds evidence that shows that the two writers' relationship was very different than the two claimed. Nonoguchi confesses to the murder, but that's only the beginning of the story. In a brilliantly realized tale of cat and mouse, the detective and the writer battle over the truth of the past and how events that led to the murder really unfolded. Which one of the two writers was ultimately guilty of malice?